DJ Cash Money’s music journey began in the streets of Philadelphia as a dancer traveling from block party to block party in search of the spotlight. Even though he was there to dance, he was intrigued by the turntables. Known as Jerome Hewlett in the beginning, he took the name Cash Money from his nickname on the basketball court. He was known to have the “money” shot and named himself “DJ Cash Money”. He continued to build his skill as a break-dancer by joining the dance group “Sonic Wave” and at the same time he was building his skill on the turntables by making mix tapes for the group’s choreography. He became a major player on the mix tape and DJ scene in his high school and in his Southwest Philadelphia neighborhood. He continued to dance, perform and excel on the turntables, but it was not until he heard a cassette tape of DJ Grandmaster Flash from New York City that changed his life forever. The sounds of the manipulations of the turntables to make music is what made him decide that this would be his career. He would be the musician and the turntables would become his instrument. During his quest for knowledge of the turntables, he found Grand Wizard Rasheen who taught him the craft of turntablism. In 1983, DJ Cash Money met Marvin Berryman later known as MC Marvelous, along with MC Kool Breeze Steve and formed a new group. The trio began performing with other groups on the local Tri-state circuit venues. One of the groups would be Philadelphia’s hip-hop legends DJ Jazzy Jeff and The Fresh Prince aka Will Smith. Eventually MC Kool Breeze Steve left the group because of creative differences. These groups performed together regularly before both groups’ commercial successes in the record industry. In 1987 DJ Cash Money and MC Marvelous signed with Mantronix and Sleeping Bag Records and released their first album “Where’s The Party At?” that included the top selling single “Find an Ugly Woman“ and the underground hits “Ugly People Be Quiet” and the “The Mighty Hard-Rocker.” That same year, DJ Cash Money went on to make music history as the only DJ to win all three major DJ championships. Astonishingly, he won all three in one year’s time: The New Music Seminar DJ Battle (NYC), DMC American DJ Championships (San Diego, CA) 1988 and represented the United States in DMC World DJ Championships (London) 1988. Inventor, innovator and stylist are titles that resonate when referring to DJ Cash Money’s DJ legacy. 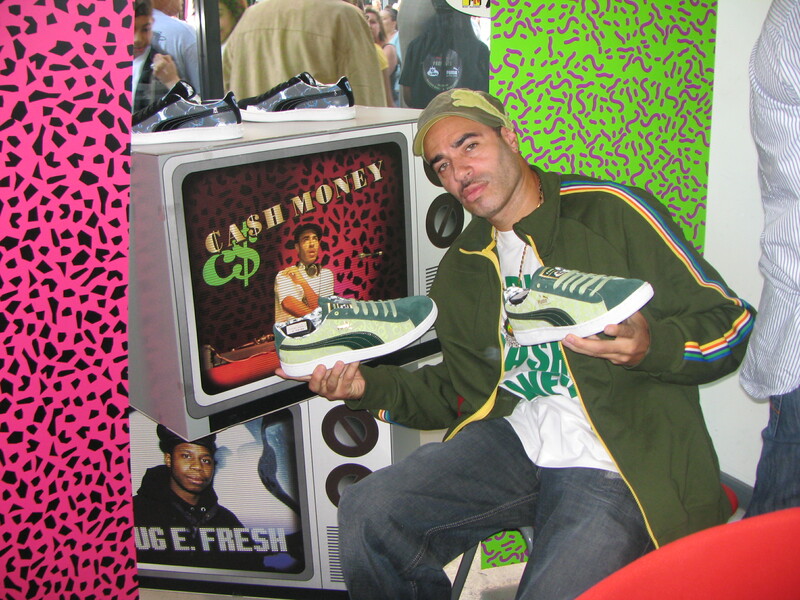 The “DJ Cash Money Turntable Style Position” and the now-famous Philadelphia phenomenon of the “transformer scratch” are two of his most famous contributions. His imagination has created some of the most famous scratching and mixing techniques in the hip-hop genre including ”twins of spin”, “doubling”, “remixing live on beat with vinyl” and his overall style of DJ techniques. The turntable position referred to by many DJ’s; as the “battle style position”, was created by DJ Cash Money and DJ Grand Wizard Rasheen in the early 1980s. This style requires rotating the turntables counter-clockwise by 90 degrees so the tone arm is positioned at the top of the turntable with the small Gemini mixer in between the turntables. This position was in fact, not created for battle purposes but because his sleeves kept obstructing the tone arm of the turntable and it was more comfortable for him to execute lightning fast scratches and back-to-back mixes. The DJ Cash Money Turntable Style Position was so popular that turntable companies began to manufacture turntables with the tone arm in that position. 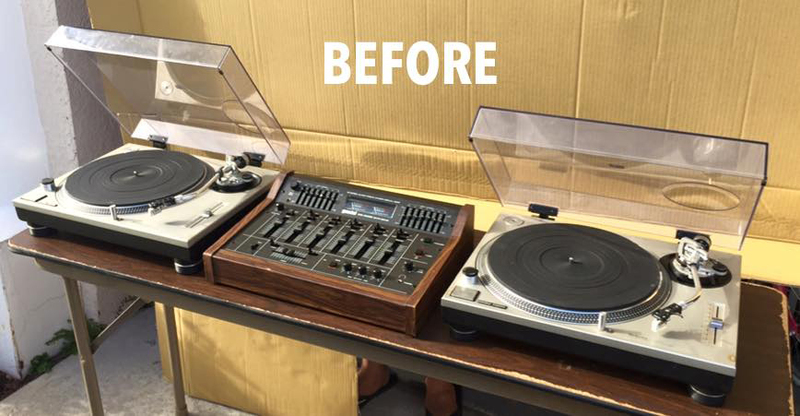 The Japanese company, Vestax Corporation began manufacturing a model of turntables based on his turntable style position in the mid 1990s. The exhibition routine of two or more DJ’s that is referred to as the “carousel” by many djs was a routine first created by DJ Cash Money and DJ Grand Wizard Rasheen in the early 1980s. The routine consists of DJ’s simultaneously spinning on turntables in musical phrases alternating in a circular motion during the same record. DJ Cash Money and DJ Jazzy Jeff were the first to perform this routine together during an on-stage hip-hop performance in Philadelphia. In the early 90s DJ Cash Money began producing tracks and remixes for several top hip-hop and pop artists such as P.M Dawn, The Roots, Busta Rhymes and Q-Tip. During that time he went on tour with P.M. Dawn and produced the gold-selling single “Ways of the Wind” on Island Records and produced several compilations and remixes such as “Head Bangin Funk 45’s”, “Kickin’ Flava”, “Old School Need Ta Learn‘O” and “WKIS Mixtape Series”. In 1998, DJ Cash Money produced a radio show called “The DJ Cash Money All-World Show” on Philadelphia’s 103.9 FM. His unmistakable scratches have been sampled on countless records and soundtracks including the famous Public Enemy song on “Fight the Power”. The intro is actually DJ Cash Money scratching the “Pump Me Up Scratch” which is a sample from the record “Scratchin to the Funk” by DJ Cash Money/Dr. Funkenstein. Ironically, each time Russell Simmon’s Def Comedy Jam opening credits are played the world is hearing DJ Cash Money’s scratches. 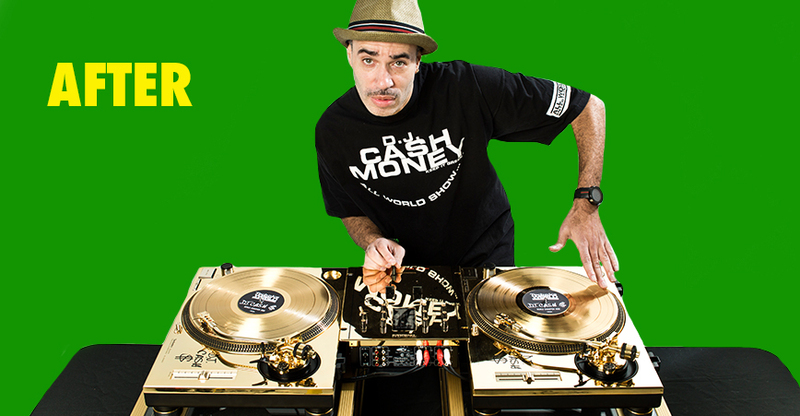 The 90s served as another milestone for DJ Cash Money as he was the first inductee into Technics DJ Hall of Fame in 1998. In 2004 he performed at the 2004 Summer Olympics in Greece and in 2007 he received a sneaker deal with Puma that produced the “DJ Cash Money YO-MTV Raps Limited Edition Puma Sneaker”. DJ Cash Money continues to tour throughout Europe, Asia, the Middle East, Canada, South America and the United States dazzling audiences with his one-man show. He stays relevant by keeping his ear to the streets and studying current trends in music. The pioneer and family man says he spins everything from hip-hop, soul and house to EDM, reggae and rock music but stays loyal to his foundation as a pioneering hip-hop DJ who believes in preserving the artistry, skill and history of the turntable.